Colin was a deadline day signing in 1985 from Sunderland. After helping Watford to achieve a mid-table finish, the following season he was top scorer for the Hornets, and left the following summer to join Graeme Souness at Glasgow Rangers. Now Assistant Manager at Carlisle United, Colin spoke to Watford Legends in 2011. Hi Colin, thanks for talking to Watford Legends. You were at Sunderland and became a Hornet. How did the move come about? It was a combination of one or two things. I had played a few seasons at Sunderland and enjoyed my time there. We had made it to the cup final, and in the semi final I scored a hat trick, so was looking forward to the final. I never got picked for the final, and I have subsequently found out that the deal had almost been done between the two clubs. Had I been in the side and we had won, I would never have wanted to leave Sunderland, as I would have been on a high. Graham Taylor came up and had permission to speak to me. I thought he was a fantastic fella. 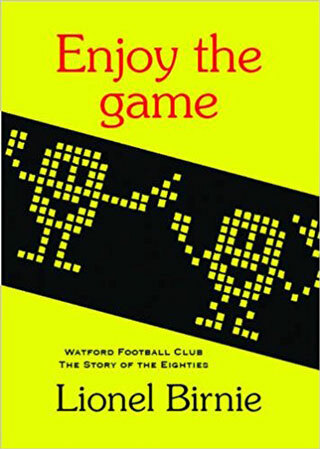 I had played against Watford a few times and I thought they were a good up and coming side, as they had done well coming through the lower divisions. I spoke with Graham and went home to speak with my wife who was not so keen as we had only been living in our new house for a matter of months. I had pretty much turned Graham Taylor down, but he called me and told me that he wouldn’t be doing his job properly if he did not have a chance to speak to my wife about the move. He met my wife on deadline morning and he bowled her over with all the things he had to say for her. It kicked on my career; it was a great move for me. I enjoyed it immensely at Watford. Did it take you long to settle in to the club? Not really. You know more than me what a great family club it is. My family were made to feel very welcome by everybody at the club, even Elton John. Where did you live down here? I lived in Hemel Hempstead. I had Tony Coton and John Barnes as my neighbours. I think Vinnie Jones lived near us as well. You had a good scoring record at Watford, 20 goals in 45 appearances. You must have been pleased with that? I was playing with two great wide men who were getting balls in to the box for me and Luther. So it was a bit easier for me to get a good goal tally, given the service we were receiving. Do any of your goals stand out for you? I enjoyed the ones at Coventry away in the cup when we won 3-1. I had some good battles over the years with Brian Kilcline. He broke my foot twice! Was he as scary as he looked?! No not really. I’ve met him a few times outside off the pitch and he is a gentleman. He is very quiet really. The other games that stand out are when we beat Manchester United at home 5-1 and when we beat Tottenham away. I managed to go round Ray Clemence and tuck one in. We also beat Chelsea away when I scored a header from the edge of the box. Graeme Souness was at the Manchester United and Chelsea games and he had a word with David Speedie to see if I might be interested in going to Rangers. Your stats were good and you had settled well at Watford. So it is a surprise to see you moved. I think me going to Rangers was a good deal all round. I was able to go and play in European competitions and Watford would get more money for me than they paid. So it wasn’t a case of me wanting to leave, more a really good opportunity to go. I really enjoyed living around the place and we were just starting to make a home and family, but Rangers was a good opportunity. Why did it not work out so much at Rangers? I played in the first few games and scored a couple of goals, but then I ruptured a load of ligaments and was in a cast for three months. When I came back I was on the bench and getting on here and there. They then went and got other people in. So it was an injury that threw me out of the team. You had a number of clubs after Rangers. You moved around a bit, was that difficult, moving the family around the country whilst you earned a living? Well as we discussed with Watford it was easy, and that set us up to do it again in future. Wherever I went my wife followed me and I think that moving around a fair bit is one of the sacrifices of the job. It can be more of a worry to join a club and find that the style of football has changed. You’ve been coaching since. How have you enjoyed being on this side of the touchline? Yes, funnily enough I got in to that through Brian Talbot who I played alongside at Watford. We got on well. He said to me once “If ever I become a manager I am going to come and buy you!” I thought it was tongue in cheek. However when he went to West Brom he swapped me with Carlton Palmer who went in the opposite direction to Sheffield Wednesday. I had a half decent career there as I did reasonably well and scored a few goals. When he went to Rushden, I went there with him as well and it was there under Brian that I started my coaching career. You left Hartlepool last summer, in something of a cost cutting measure by the club. A good friend of mine, Chris Turner, who I played with at Sheffield Wednesday and Leyton Orient, really drove my coaching career by taking me to Hartlepool. However I left there last summer. Are you looking to get back in to coaching? Yes, I’ve been talking to a few clubs and I plan to get back in to it sooner rather than later. You’ve done some co-commentary with Three Counties this season. What have you made of Watford? I think they have been excellent. Malky has got them well drilled. They all work extremely hard for each other. It reminds me of when I was a Watford player. There are no real stars, but all good friends and you can see that with this side. They are an exciting team to watch. They have been this year! Thanks for your time Colin.